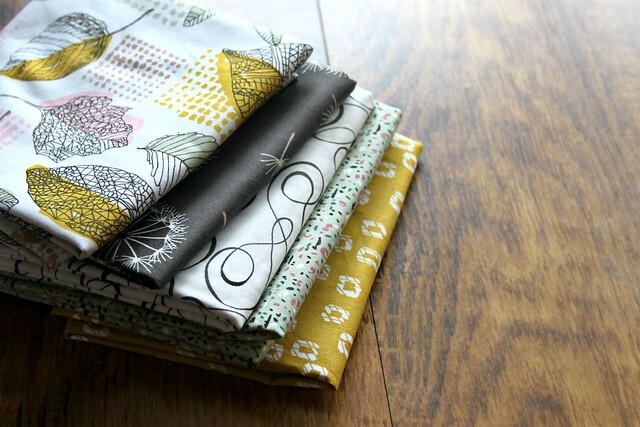 As an official Art Gallery Fabrics designer I'm excited to share with all of you a brand-new weekly ritual where I'll introduce the latest AGF collection I've added to my stash. 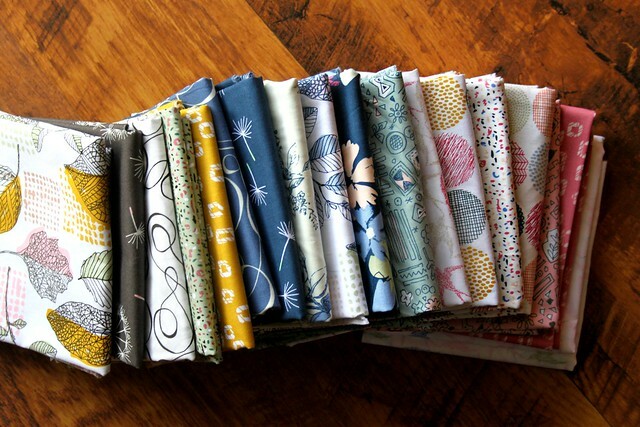 There's nothing that sparks my creativity more than a fresh bundle of fabric! 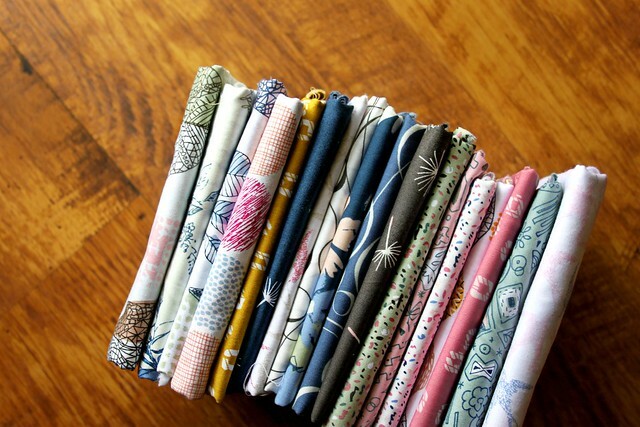 I hope you'll enjoy these posts and might feel inspired by the same fabrics that are inspiring me! First up is Sketchbook, a lovely collection that looks as if the pages of designer Sharon Holland's own sketchbook beautifully came to life. Including prints with swirling doodles and nature-study drawings, there's a hand-illustrated look and texture to this collection that I especially love. Including indigo blues, rosey pink, and warm golden neutrals, the color palette is as unique as the prints themselves! 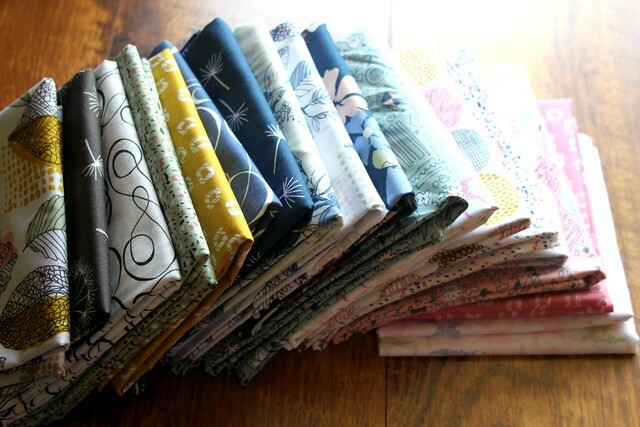 I'm really looking forward to turning these into a quilt! 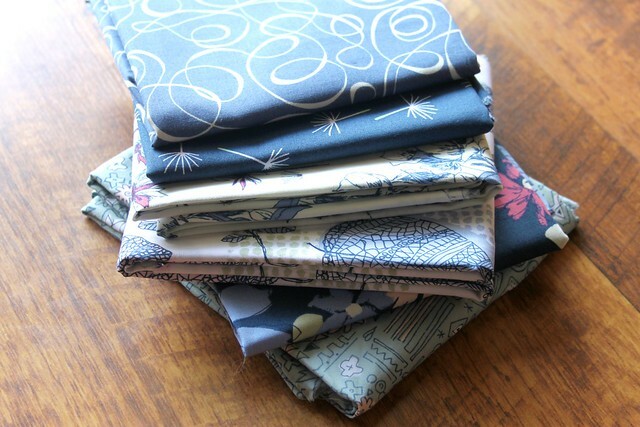 You can find these beautiful Sketchbook fabrics still available at Llama Fabrics, the Intrepid Thread, and the Fat Quarter Shop! Very pretty, I love the yellow! I really like the warm neutrals. Thank you for sharing and have a wonderful day creating! 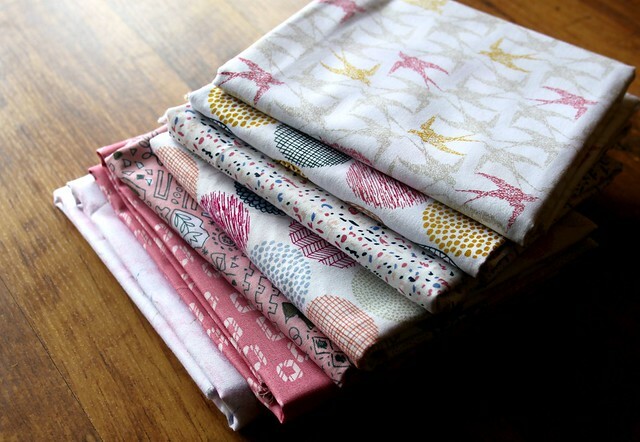 I love these.......... yes, I say that about most new fabric, but I really do. I can't wait to see what you make with them. Very pretty! Looking forward to what you will be making. This looks like a whole lotta yummy to me!